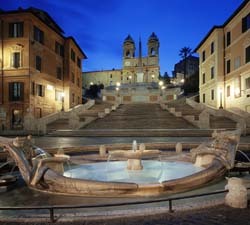 Rome is a traveler's dream as it has a host of accomodation options, from luxury hotels to family hotels. Business travelers will also enjoy those situated in the commercial districts or close to the airport. For those hoping to stay outside of the bustle of the city, we have also provided a selection of hotels located just outside of Rome. 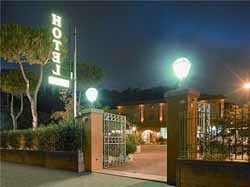 Our top airport hotels for Rome are below, but you can also view more airport hotels here. The Hilton hotel is the only hotel located in the entire airport area and is directly linked to all the terminals at Leonardo Da Vinci International Airport as well as the airport train station by way of a covered overpass including a moving walkway. Downtown attractions are only 35 minutes away by complimentary shuttle bus or train. You will appreciate the excellent connections to the city but also do not miss Ostia Antica or the beaches of Fiumicino and Fregene, all just minutes away from the hotel. 517 rooms and suites carefully designed for greatest comfort including 391 superior rooms, 107 executive rooms - with executive lounge, 13 alcove rooms, 4 junior suites, 2 one-bedroom suites and 26 accessible rooms. Hotel services are completed by a 500 spaces car park and a 1000 square meters fitness centre and health club including one indoor pool with whirlpool and 2 outdoor floodlit tennis courts. Sauna, steam room and gym room. The Best Western Hotel Giardino D'Europa is very close to the ring road, between via Appia Nuova and via Tuscolana, not far from Ciampino airport and the underground station. Ideally located for people arriving to Rome by car who don't want to use it to visit the city. Comfortable rooms, restaurant (Sunday closed), large parking and bus service to the underground station. We have selected some of the top leisure hotels in Rome, ideal for single, group, and family travelers alike. 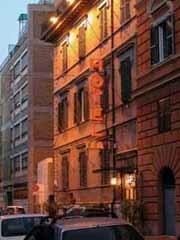 You can view more hotels in Rome here. The Starhotel Metropole is located in the Umbertine section of Rome, near the central train station and a few steps to the Teatro dell'Opera (Opera House). Recently renovated, the hotel offers 243 air conditioned rooms, uniquely appointed and soundproofed. Furnished with minibar, colour satellite TV with foreign channels and Internet connection, movies on comand, direct-dial telephone and radio. Also available are a number of rooms classified as Executive Rooms, which are suitable to the business clientele and furnished with, among other things, two phone lines, fax, modem hook up and battery charger. Seven meeting rooms, which can accommodate 480 people and can handle the various meeting requirements. Renowned are the hotel's restaurant and piano bar with live music. The notes fade away toward the Liberty-style skylight, which illuminates the room with a play of lights. The hotel also has a large parking garage, for those whom like to reach the heart of Roma by car. Just a short walk from piazza S. Pietro (St. Peter's Square), the Starhotel Michelangelo is an ideal place to spend your unforgettable Roman holiday. The179 air conditioned rooms with a view of the famous Cupolone (dome of St. Peter's Basilica) are furnished with minibars, color satellite TVs with int'l channels and a high speed Internet connection, movies on command, direct-dial telephones and radios. The hotel also has a number of rooms classified as Executive Rooms with services and amenities dedicated to the business traveller, but without sparing the elegance of sophisticated details such as linen sheets and towels. For a relaxing break, the guest may choose between the bar, intimate and inviting, or the restaurant with a rich menu of local and International specialities. The Best Western Hotel Piccadilly is close to the famous Basilica of S. Giovanni in Laterano and at a few minutes from the �Colosseo�. Subway station nearby. Rooms completely refurbished with private bath or shower, phone, air conditioning and minibar; no-smoking rooms, American bar, breakfast room with panoramic view on the top floor. Garage nearby. Best Western Rivoli Hotel Rome, situated 20 kilometres away from Ciampino Airport, is in one of the most elite and fashionable areas of Rome. The hotel is in close proximity to many popular tourist attractions in Rome and provides the ideal base for visitors to explore the city in comfort and style. Although centrally located, a calm and peaceful ambience prevails inside the walls of Best Western Rivoli Hotel Rome. This perfect setting draws many travellers from all over the world to Best Western Rivoli Hotel Rome. The Best Western Hotel Canada is a superior class hotel, in the historical center, located in an elegant building of the 19th century, recently restructured respecting the original architecture. The hotel combines hospitality with style and is up to modern standards. It is well connected to all city areas both by bus and by subway (Line B, stop Castro Pretorio). 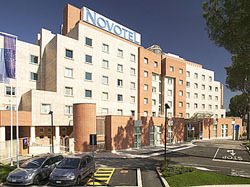 The Best Western Hotel Mondial is ideally located in the historical and commercial centre of Rome. The hotel is situated opposite of the Opera House, between the Roman Museum and the Exposition Hall. This family-run hotel offers you a friendly welcome, accurate service and attentive staff. You will be close to Rome's famous Via Veneto, the shopping areas and other famous Rome treasures such as Trevi Fountain, the Colosseum, Roman forums and many more. The Best Western Hotel Villafranca is located at only 500 m from Termini Station and the Air Terminal and at 50 m from �Castro Pretorio' station of the subway (line B). Rooms with bath - shower, direct telephone, tv-sat., minibar, hairdryer. Safe service. Efficient staff and friendly atmosphere. 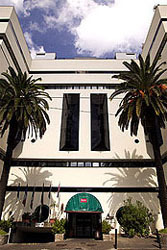 The Best Western Hotel Artdeco is located in the city centre, between Via Veneto and the train station. The hotel is connected to the air terminal via the Catro Pretorio subway stop. Deco furnishings, hidro massage baths and saunas, and a restaurant serving international and regional cuisine are some of the amenities enjoyed by guests. The Best Western Hotel Spring House, modern and completely refurbished, is located in Rome's historical centre, just a few steps away from St. Peter's Basilica and the Vatican Museums. Careful service and comfortable atmosphere make it an excellent place for tourists and businessmen. The subway, "a" line, "Musei Vaticani" stop, only 100 meters away, allows easy links to all the cultural and commercial sites. 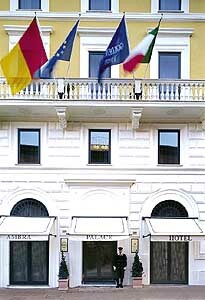 Opened in March 2001, the hotel is the result of a complete renovation of a building that dates back to 1850. It offers a nice mix of tradition and most updated technology. Decorated in classic style, all rooms are provided with superior first class standards including tea and coffee facilities, satellite TV, in house pay movies and safe deposit box. Besides a rich buffet breakfast included in room rates, the hotel features 24 Room Service and the American Bar �Le Note� where guests can taste their favourite drink, light meals and snacks. All concierge services are available. The elegant Hotel Diana, situated centrally between Termini railway station and the Opera Theatre, combines the practical with the beauty. Being near the air terminal, all the artistic and historical attractions of the Eternal City are within easy reach or if you prefer, one of the most famous shopping areas in the world. A garage service is available on request. The hotel offers 169 rooms and 2 junior suites with hydromassage facilities. All rooms are equipped with direct dial telephone, air-conditioning, mini-bar and both satellite. Built in 1949 and recently renovated, HOTEL FLORIDA is furnished in a modern, linear style. 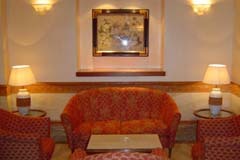 Interested in contemporary art, the hotel shows works of international masters and young artists. 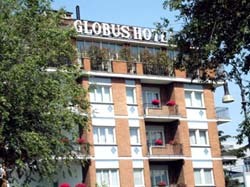 The Best Western Globus Hotel is located only a few steps away from the University of Rome 'La Sapienza', very close to the main railway station Termini and the air terminal of Tiburtina station, also close to major historical and archaeological sites, where it is possible to organize original cultural visits. We offer 103 different room types anticipating every guest's needs and enjoyment. For the corporate traveler our meeting rooms accommodate up to 30 guests. A parking garage is provided for your convenience. 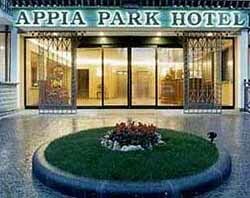 4 star hotel located in the heart of Rome, 250 m from the Colloseum. Close to the business district, archaeological sites and monuments. 10 km from the Vatican. Features rooms with view of the Coliseum. 2 bars. Parking. Outdoor pool and sun deck with panoramic views open from May to September. 3 km away from the central train station, Roma Termini. A free shuttle service runs from the station to the Mercure hotels in Rome. The shuttle service will be unavailable from 01 Sep 2005. Situated in the eastern part of the city, free shuttle bus from/to Termini railway station (13km). Easy access from A1 Naples-Florence on exit n.15 of GRA (ring). 149 soundproofed and air-conditioned rooms, bar, restaurant, swimming pool and private parking. 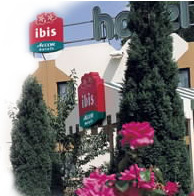 Located in the university area of the city, very close to the main line railway station and the Air terminal of Tiburtina Station, not far from the Historical and archaeological centre of cities, the Tulip Inn Roma Globus has been completely refurbished in order of satisfy the increasing needs of our national and international clients. Villa del Parco is a lovely late-19th-century villa in art nouveau style, surrounded by the greenery of a tranquil residential neighbourhood, close to the historic centre of Rome. For about forty years now, the Bernardini family has been personally handling their guests' reception and stays. The furnishings, unique for each of the thirty comfortable rooms, have been personally arranged by the owners. The excellent service creates a refined, pleasant atmosphere. The rooms, all renovated, are endowed with all the best comforts. Worthy of note are the six very particular mansard rooms, recently restructured and furnished in a characteristic country style. Ease of parking and connections with all parts of Rome complete Villa del Parco's offering. The Principessa Tea Hotel is situated in the historical centre of the city near Via Veneto, Piazza di Spagna, Villa Borghese and the Trevi Fountain. Hotel dei Consoli is situated in Via Cola di Rienzo, near the stately Saint Peter�s Square, in a small century-old building recently reconstructed in the Imperial style. The Spanish Steps are only a 10 minute walk.The elegant ambience, the highly-trained personnel and the advanced technologies will make your stay in Rome perfectly unforgettable. Located 14km from the city center, close to motorway A2 and Tor Vergata University. 211 soundproof rooms with bathroom, air-conditioning and TV. Bar, restaurant, meeting rooms and parking facilities. Golden Tulip Bellambriana is a new 4 star hotel. It has 91 rooms, including 4 suites, there are also available rooms for the disabled. The hotel has also a free garage and parking, the Restaurant Terra Mia, which offers local regional and international cuisine, a bar with terrace over the swimming pools. A conference centre, provided with the most modern technical equipment and rooms that can accommodate up to 300 persons, and a Beauty & Health Center, with sauna, gym, cromotherapy and Jacuzzi. 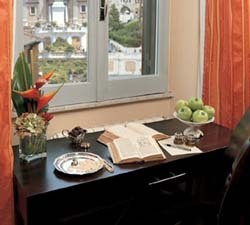 The hotel Capo d� Africa is located in the heart of Rome, between the Forum and the Domus Aurea. The furniture and tapestries are in a classic contempory style and in the warm nuances of ochre, sand and saffron. Its comporary design combines state of the art facilities with modern elegance. With its superb location, just off legendary Via Veneto in the heart of town, few minutes walk to the Spanish Steps, the Borghese Gardens and Gallery and the most famous Italian Fashion shopping district, the Hotel Savoy is a traditional, recently renewed, historical hotel with elegant decors and modern facilities. The hotel has a very convenient location which meets the needs of both business and leisure travellers. All of the guest rooms are classical in style, comfortable and nicely equipped with satellite television, mini bar, radio, hair dryer, safe deposit box, air conditioning, direct dial telephone, smoke detectors and electronic lock on the door. Hotel comfortable, situated in the ancient heart od Rome between the Spanish Steps, Via Veneto, Piazza Barberini and the Trevi Fountain. This hotel is an European 4 star which is the equivalent of an American 4 star. Situated in the city of Rome, in an age-old park adorned with many fountains, this ancient residence takes its name from the Castle that was built in the year 1400 by the Marquis Francesco Crescenzi on the site of an ancient tower dated 1100. 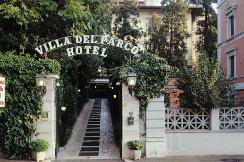 View more business hotels in Rome here. The Crowne Plaza Rome-St. Peter's is set in a 4 hecare park next to the beautiful Villa Doria Pamphili, a few minutes from the Vatican City. The Hotel offers 321 rooms, of which 27 are Superior. The hotel facilities include the restaurant "Le Jardin d'Hiver", the osteria "Cantina Romana" and the piano-bar "Il Palco" with live music every evening. An open-air restaurant and a pool snack-bar are available during summer, Business Corner and Conference Facilities with more than 1400 sqm of exhibition space and a total of 13 meeting rooms. Possibility of organising gala dinners, events, parties and open air barbeques for up to 500 people. For relaxation the Health & Fitness Centre "Saturnia Spa" offers indoor swimming pool, sauna, steam room, Jacuzzi, gym, cardio fitness, outdoor swimming pool and 4 tennis courts. Recently renovated the Moevenpick Hotel Central Park is located in the residential area of Monte Mario, only 30 minutes away from Fiumicino Airport and 20 minutes from the historical centre and the Vatican City. The hotel features 162 rooms of which 80 rooms - superior and executive - have a panoramic view on St. Peter Dome. All rooms are fully equipped and stylishly furnished. The hotel has two restaurants, piano bar, congress centre, "Corpus" fitness centre (outsourced), shuttle bus, private garage and parking. The Sheraton Golf Parco De'Medici Hotel and Resort is a charming, country-style hotel surrounded by a 27-hole golf course. Easily reached from the Great Ring Road, the Sheraton is just 18 kilometers from Fiumicino Airport and 16 kilometers from the center of Rome. Guests may use the scheduled airport/downtown shuttle services, which run regularly. The Sheraton Roma Hotel is a 647-room modern, dynamic and elegant hotel situated in the business heart of the capital, surrounded by the lush greenery of the EUR district. Conveniently located between the historical city center and Fiumicino/Leonardo Da Vinci Airport (both at a 20 minute ride via complimentary scheduled bus service), the recent full-scale renovation has confirmed its position as the region's premier business and convention venue. With a wide range of guestrooms and facilities, the Sheraton Roma provides the ideal setting for both business and leisure guests. The Best Western Hotel Universo is a first class hotel with all modern amenities, located at 200 m from the Opera Theatre, Termini station and the air terminal . Tv-sat., air conditioning, American bar and two restaurants. Ideal for business men. Convention center suited to welcome up to 300 people. The Best Western Hotel President is within a walking distance from some of the most important sites of tourist and commercial interest. Meeting rooms, American bar, restaurant. Air conditioning, tv-sat. Subway station, stop �Manzoni� and parking facilities nearby. The Four Points by Sheraton Roma West Hotel is a new hotel conveniently located near Roma European district, Fiumicino Airport and Pomezia Industrial and business area, just 20 minutes from downtown Rome. The hotel features meeting and convention facilities and offers complimentary bus transportation to and from the Fiumicino Airport. Synonymous with Hospitality The elegant and contemporary lines of the Visconti Palace Hotel are a pleasant contrast to the classical sobriety of the surrounding on the quiet Via Cesi in the stylish Prati district. The hotel is rationally laid out starting with the large, modern and confortable hall in Carrara marble which greets guests on their arrival. All the rooms are been recently renovated and have personalised decor and relaxing coulors. Famous for its congress facilities. All the four meeting rooms have been radically restructured and completely renovated and have the most modern technical equipment. Attractive first class hotel-81 rooms-in a unique location not far from Appia Antica Regina Viarum.The hotel offers bar, garden terrace, room service and meeting rooms. With its modern interior this hotel offers comfortable bedrooms equipped with private bathroom with bath or shower, air conditioning, cable TV, hairdryer, mini bar, safety deposit box, alarm clock and fax and modem connections. Some of our top luxury hotels in Rome are below, however a larger selection of the most lavish and elegant hotels the city has to offer is available here. Built in 1894 as the first deluxe hotel in Rome, the St. Regis Grand, Rome is within walking distance of the Spanish Steps, the Trevi Fountain and Via Veneto. 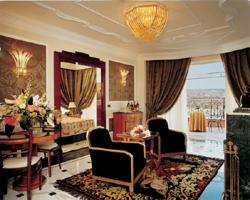 Upon reopening in mid-December 1999, after an extensive restoration and renovation, the St. Regis Grand, Rome reclaimed its status as the finest hotel in Rome and one of the best in the world. This honor has been re-emphasized by recently being named to Cond� Nast Traveler's 2002 Gold List. As a focal point of Rome's diplomatic and political life, we are proud to host many national and international dignitaries, heads of state, business executives, and widely known celebrities. As Rome's most celebrated avenue, Via Veneto is the cradle of "la dolce vita" immortalized by Fellini. 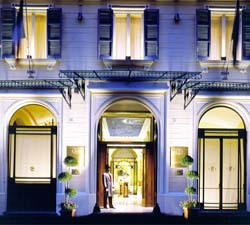 It is also home to the recently refurbished The Westin Excelsior, Rome - its most distinguished address. Named to Cond� Nast Traveler's 2002 Gold List, our hotel is a monument to turn-of-the-century style. Our spacious guest rooms boast rich custom fabrics, Imperial, Renaissance and Biedermeier style furnishings, as well as walls and ceilings hand-decorated by master artisans. 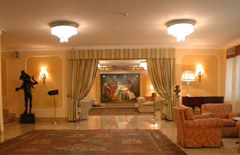 The Hotel Eden Rome is one of the oldest and most beautiful hotels in Rome. Located 45 minutes away from the Fiumicino Rome Airport, the Hotel Eden Rome is nestled in the middle of Rome in a tranquil environment offering visitors a truly magical experience. The Hotel Eden Rome is also a proud winner of many prestigious awards such as the Best bar in a hotel in Europe award and has been nominated for several other awards by Villegiature Awards for the year 2004. Throughout its long and proud history, the Hotel Eden Rome has been a prime lodging venue for world leaders, eminent guests and celebrities whenever they visited Rome. Since 1870, the Hotel Bernini Bristol has been the Roman residence of choice for royalty, artists and celebrities. Today, it continues to greet its guests with all of the gracious tradition of the past, enveloping them with magnificent standards of luxury and beauty. Precious 18th Century tapestries adorn the hall, and Murano chandeliers and antique furnishings are lavished throughout, creating a perfect old-world ambience for relaxation, entertainment or business. Situated on the edge of the Via Veneto in the very heart of Rome and with the 17th Century Triton fountain sparkling directly outside, there is no destination more historical for your stay in the Eternal City. In the midest of Rome's prestigious "seven hills", the hotel is located in the heart of the city with view of the Villa Borghese gardens, near the Via Veneto and the Spagna Square. A few minutes from Via Condotti, the shopping street with its theatres and cinemas. 109 rooms and 4 suites, 2 non-smoking floors. Panoramic terrace. Italian and international cuisine, bar, 3 meeting rooms for up to 50 people. Paying car park nearby. Five star luxury in the historic centre of Rome and located at the top of the renowned Spanish Steps, InterContinental de la Ville Rome Hotel is the mark of elegance and sophistication amidst ancient charm. Dedicated to providing the ultimate luxury in facilities and hotel services, InterContinental de la Ville Rome Hotel is the ideal accommodation provider in central Rome for the busy executive and holiday-maker. InterContinental de la Ville Rome Hotel's ideal location is excellent for the tourist eager to visit the various venues at the stylish Piazza di Spagna or the serene Villa Borghese and the rest of the famous Eternal City, Rome. Housed in a magnificent, liberty-style building, the Regina Hotel Baglioni in Rome is perfect for those in search of elegance and finesse. Guests are guaranteed prompt, impeccable service during their stay, and are able to wander through the magnificently furnished rooms which once hosted famous figures such as Queen Margherita. The Empire Palace Hotel enjoys a privileged place in Rome: within a easy stroll you could be in the Borghese Gardens, sipping a drink while people watching on the Via Veneto, browsing the antiques of Via Margutta or enjoying the spectacle of the Spanish Steps. Residing amongst the antiquarian shops of Via Margutta, one of Rome's most picturesque streets, is Hotel Art. Its distinguishing feature is its vast lobby whose vaulted frescoed ceiling looks over a marble altar and cathedral-like stained glass windows. 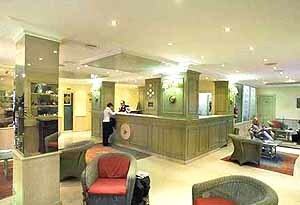 Such is its size, the reception area, lounges, bar and breakfast room all share the space. Beyond, is a secluded courtyard that serves drinks and light meals, the many gourmet restaurants in the neighbourhood satisfying the larger appetite. The Spanish Steps have inspired visitors for centuries: Byron, Liszt, Goethe, Wagner met at the famous Caff� Greco; Keats died in the house across the square; Hans Christian Andersen lived in the house next door to the Caff� Greco now known as The Inn at the Spanish Steps.The inn is on Via dei Condotti, famous for stores like Armani, Bulgari, Cartier, Ferragamo, Herm�s and Prada to name drop but a few. A discreet entrance keeps it as one of Rome's best-kept secrets. The art-loving billionaire Getty transformed his residence into a temple of art, lavishly decorating guest rooms with Carrara marble bathtubs, Venetian lamps and Gobelins tapestries, offering luxurious comfort and inspired design features. 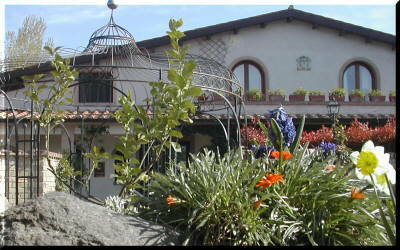 Magnificent country residence on the lake of Bracciano with 8 rooms all with frescoes. Garden with swimming-pool, tennis court, bowls, fitness room with SPA jacuzzi. Restaurant with regional food. 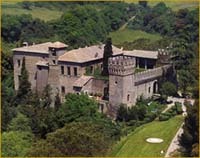 On the hills of Tuscia, between the lakes of Bracciano and Martignano, the estate I Due Laghi is surrounded by a natural park. The restaurant La Posta de� Cavalieri offers a homagrown produce. Drag hunting. L�Antico Casale is housed in a quaint nineteenth-century Roman country house. The structure of the building has remained unchanged offering a unique taste of Roman hospitality, flavour and tradition.The color and decour of the rooms are in the style of a traditional country house. The hotel offers breakfast room and garden giving serenity and relaxation. l�Antico Casale is the perfect relaxing environment to spend just one night or a full peaceful vacation.